Recently, manufacturers are returning to the fundamentals of the portable vape device, incorporating the pen-style platform to maximize performance while maintaining the utmost in end-user discretion. 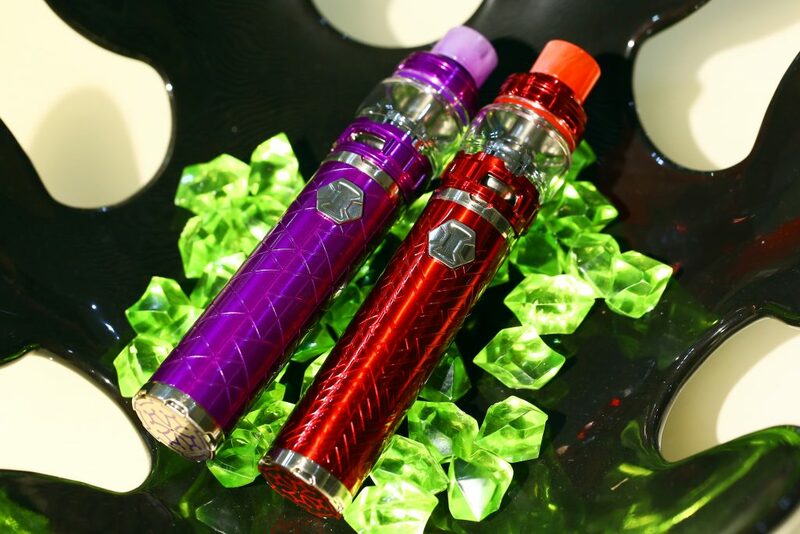 This kit consists of an Eleaf iJust 3 battery mod and an Ello Duro atomizer. This starter kit is compact and portable and is set to deliver something special! Read on to find out more! This is one of the must-have setups for all sorts of vapers. 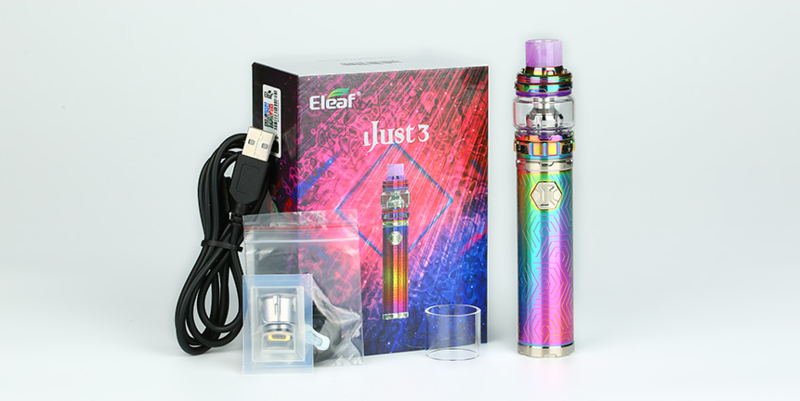 It is the updated rendition of the iJust series, consisting of an Eleaf iJust 3 battery mod and an Ello Duro atomizer, delivering a beautifully crafted vape pen system integrated with a 3000mAh rechargeable battery to pair with the new ELLO Duro Sub-Ohm Tank. So let’s break this down. The design is based on their old but popular iJust NexGen pen, incorporating an etched design within the battery. Available in a number of colours: silver, red, purple, blue, dazzling or rainbow, and of course, black. I love the rainbow! With a meaty 3000mAh battery and either 6.5ml (or 2ml tank if you live in Europe), the size of this vape pen is really good! 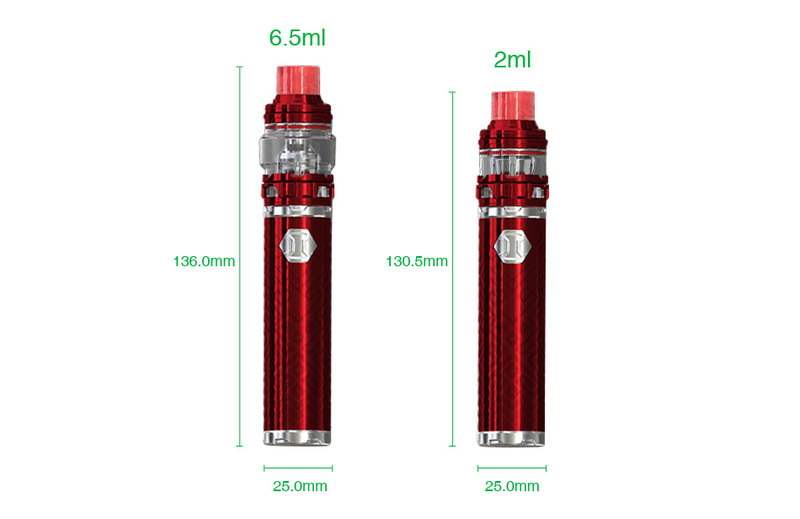 Measuring in at 136mm tall (130.5mm for European version) and 25mm diameter, Eleaf has done a great job keeping this kit portable for everyday use. The iJust 3 has been designed with simplicity in mind. No wattage settings, no screen nor menu sections, it’s all present. The only indicator you get with the device is the battery life, which flashes different colours depending on the state of the battery. The fire button is a reasonable size, in a hexagonal design. On the back is where you’ll find the USB connector to charge the battery. Below the USB port, you’ll find the LED light to indicate it’s charging. The top of the iJust 3 battery is where you can find the 510 spring loaded connector. This is an 80W battery, so make sure the coils are correct to suit your tank if you don’t use the Duro. Eleaf is keen on delivering their new tanks with the mesh coil design due to its increased popularity over the last year or so. The ELLO Duro tank is exactly that, with prebuilt mesh coils designed specifically to produce the maximum flavour hit. The Ello Duro has 2 different mesh coils available, now, although we all know it as a mesh coil, Eleaf are calling them something slightly different, i.e. a net coil and multihole coil. Let’s just get this straight, they are a mesh and the only difference between these names is the coarseness of the coil. The 2 coils are the HW-N 0.2ohm Kanthol net coil, and the HW-M 0.15-ohm Kanthol multihole coil. The HW-N has the finer course mesh amongst the two. 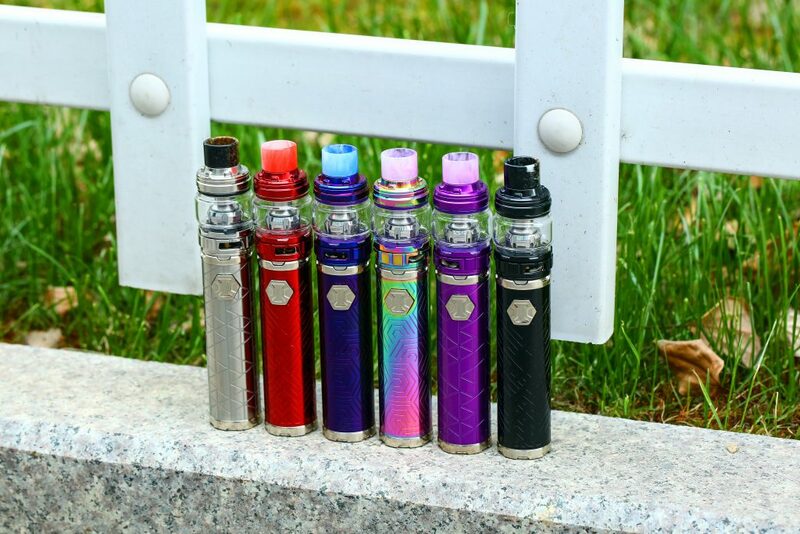 The tank also comes with a new convex glass design enabling it to have 6.5ml e-liquid capacity but does come with a spare straight glass if you prefer. (This convex glass is not available on the European version however due to the TPD legislation). The tank also features a top-fill design where you slide the top cap to one side and use the hole with a flap to fill your e-juice. It also has a triple airflow control on the base. Fully charged you are going to get around 80W out of the iJust 3 battery, but remember, as the battery slowly discharges this output is going to be reduced so you will notice a slight decrease in performance, especially when you run when the battery is less than 10% full. Fully charged and with the 0.15-ohm HW-M coil in the Ello Duro tank, the iJust 3 is incredibly responsive. It states that the firing speed is just 25 milliseconds, which for a vape pen is incredibly fast and you can definitely tell! Overall, in my opinion, it’s the best iJust that Eleaf has produced. I just love the design, it’s beautiful, eye-catching while remaining simplistic and portable. So what are you waiting for? Go on to the Heaven Gifts site today and order yourselves one of these!